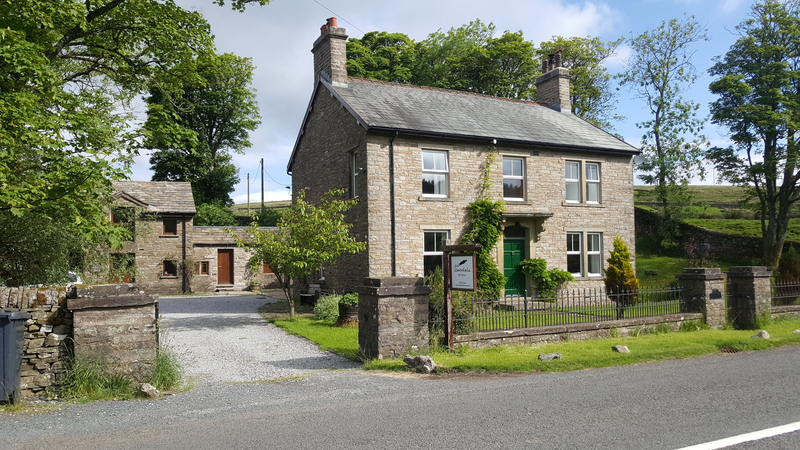 Next week I’m off to the Garsdale Retreat for a week tutored by Ian Duhig and guest reader Hannah Lowe. I’m excited by the prospect of a week just focusing on poetry, away from my usual surroundings. The last time I did a residential I was quite traumatised by it, and thought I’d never go on one again, even though some good poems came of it (at least two of which subsequently published). It also gave me the impetus to start Telltale Press, and from there to my first pamphlet and beyond. The negatives were the sheer number of people on the course, the lack of free reading and fresh air time and the kitchen duties. But that was nearly five years ago and the Garsdale Retreat is a very different prospect indeed. There are still places available, so why not come and join me? Once you’ve explored the website and read the course description you might well be tempted. 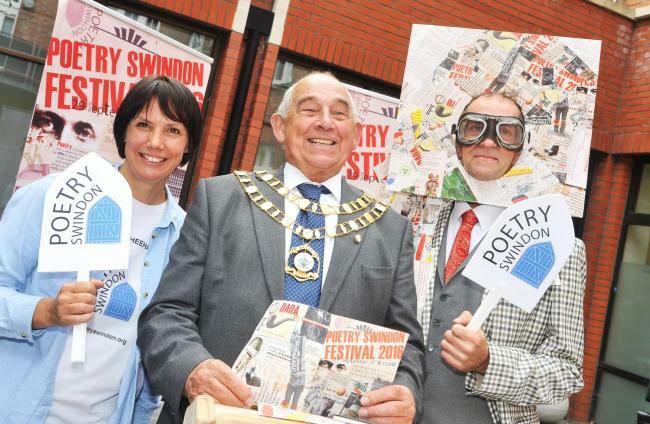 Another date in my diary is the Swindon Poetry Festival on 4th – 8th October, where I’ve been invited by the lovely Hilda Sheehan to be the festival blogger and may even be doing a cheeky reading. I missed this the last two years for various reasons and am looking forward to the warm, friendly and somewhat alternative atmosphere that Hilda cultivates down Swindon way. For some reason I don’t feel this Festival gets the amount of social media love it deserves, but it goes from strength to strength every year. The full programme will be up soon and I hear there will be a shedload of fine poets and engaging sessions, it’s also great value. Do come! At home we’ve been having weeks of new bathroom installation. I never thought a bathroom could be more trouble or more complex than a new kitchen, but after starting the work on May 1st they’re only now (as I type) on the last job, leaving us to finish the painting. I don’t blame the workmen since a key issue was to do with me changing my mind about having a wall-hung loo (since you ask… it just felt …umm… worryingly unstable!) But two weeks having to flush with a bucket and many days of ear-splitting noise wasn’t conducive to creative writing. This may sound like middle-class hand-wringing but let me remind you that toilet matters are right there at the bottom (sic) of Maslow’s pyramid. Plus I was worried we’d never be friends again with the neighbours upstairs. Anyway, enough of all that. I did manage to scrape together a poem to send to the Bridport this year. I’ve talked before about how I decide whether to enter a competition – the various things to consider and so on. Everyone has different reasons I guess, but the first hurdle I usually fall at is ‘do I have anything?’. I don’t really see the point of paying £9 to enter a big comp unless I think my entry has a fighting chance of winning. (Note: this is not the same as saying you expect your poem to win). I know that’s not the received wisdom of seasoned compers, many of whom play the numbers game and have a budget for it. And I know there’s a huge amount of luck involved. But there’s no harm in developing a feel for which poems should be sent to mags and which are worth entering into a comp, especially if you don’t have a ton of good poems coming out of your ears. Discuss! 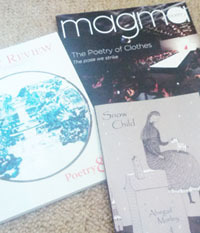 Before I go to Cumbria I have the Poetry Magazine Submissions list to update, so let me know if you’re not already on the list and would like a copy. Where will you be blogging about Swindon? Here or at another site? Hi Elly – not entirely sure about where or when or what re the blogging – nearer the time I expect all to be revealed!! !